LYNDEN, WA, May 11 – The Canidae Tap It Silver State 300 was the proving ground for the all new #1964 Holz Racing desert machine. 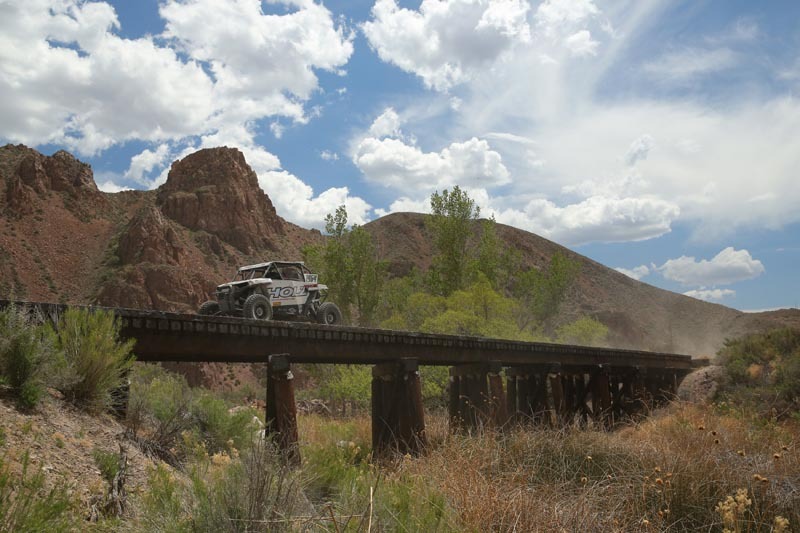 This race course cuts through the Nevada desert and has gone from smooth and fast to a harsh, dusty battleground. 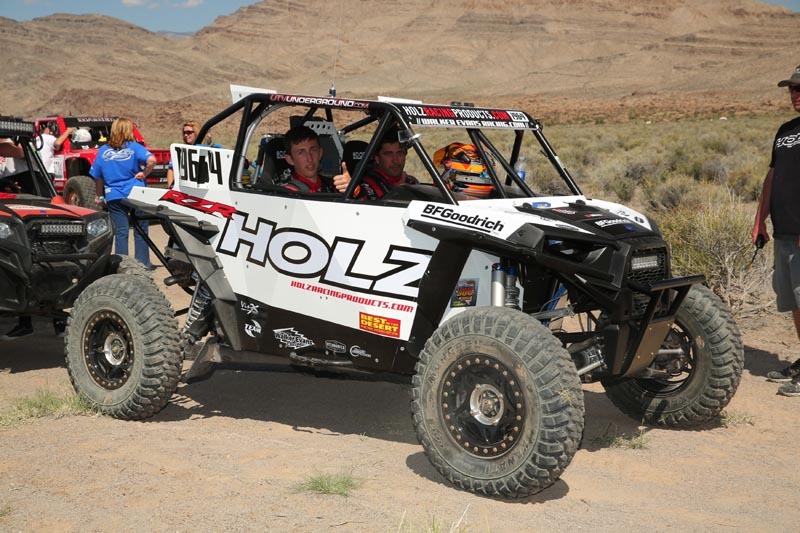 Far from a walk in the park for even the most seasoned race vehicles, the bar was set high for the father and son team of Mark and Ryan Holz. Holz Racing Products built this new machine to compete but every race fan knows that “new blues” are always a concern when debuting a car in a race environment. Luckily the team was able to get in a day of testing to shake it down and make adjustments prior to getting out on the course. The setup was very close to the mark and the team had a good car to go up against the fastest drivers in the desert. 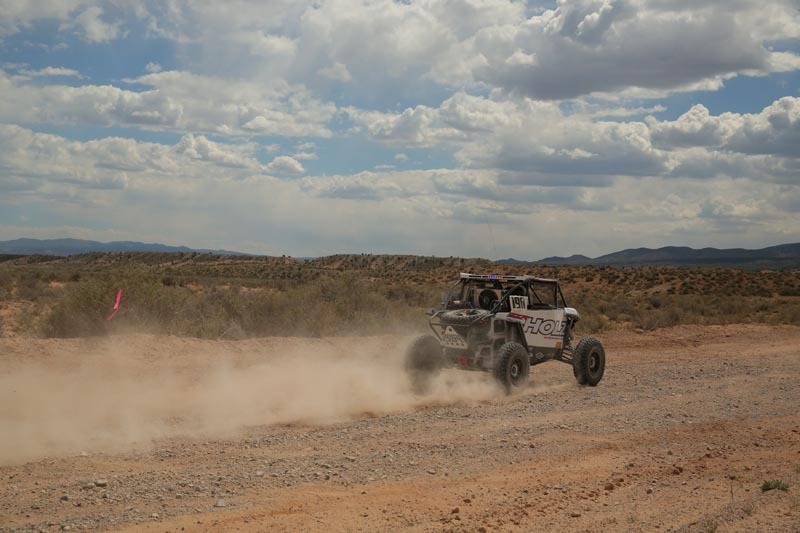 Mark would leave the start line in 20th position with his son Ryan, an accomplished WORCS and Short Course UTV racer, making his debut in the Desert in the Co-Driver seat. The new car looked to be more than up to the task, handling everything thrown at it with grace and speed and allowing the boys to push to the front of the pack. The team came up on race mile 200 still running strong and BITD timing put them in first place with a 6 minute lead on second. 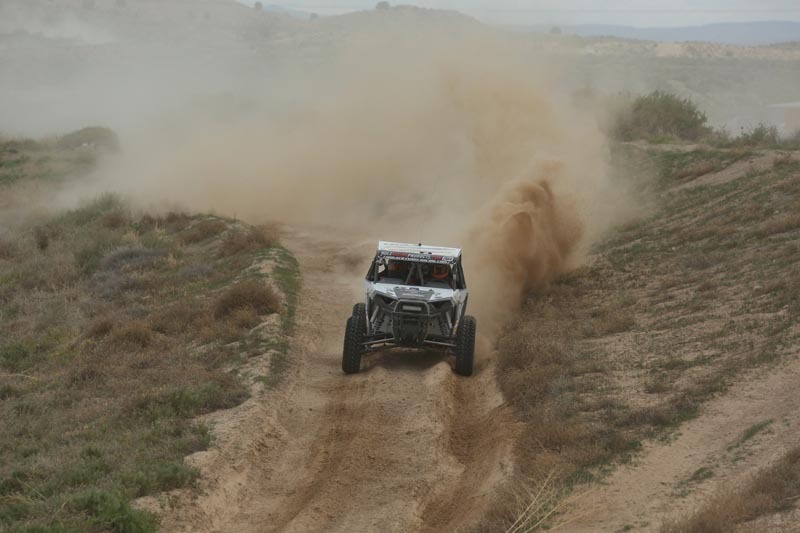 With a class victory looking like a real possibility they pushed onward, picking their way through the dust and rocks. Unfortunately at race mile 206 the cam chain tensioner would let go, ending their day and dashing their hopes of a victorious debut. The Holz Racing Products, Walker Evans Racing, Utendorfer Graphic Design, Polaris RZR #1964 will be prepped and ready to do battle with Ryan behind the wheel August 13-15th for the BITD General Tire “Vegas to Reno.” Ryan and the rest of the Holz Racing Products team will first have to take on WORCS Rd.6 in Cedar City, Utah May 22-24. 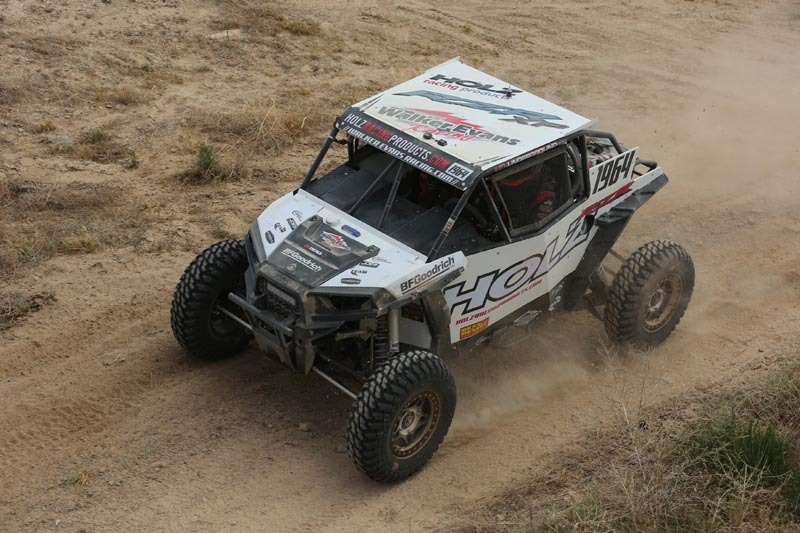 Catch up with us on social media and check out the full line of race winning and industry leading products at Holzracingproducts.com!